Tip Top Tiling Services - Tiler - Tiling based in Spencers Wood, Berkshire. 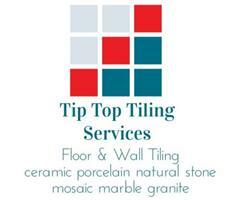 Welcome to Tip Top Tiling Services who are based in Spencer's Wood, Reading. Paul Mitchell is a fully qualified floor and wall tiler with over 15 years experience, both in the domestic and commercial sectors. Working with small to large format tiles, Tip Top Tiling Services can undertake any tiling job, large or small with confidence and excellent craftmanship. I specialise in ceramics, porcelain, natural stone, mosaic, marble and granite. The areas covered are Reading, Farnborough, Bracknell, Berkshire, Basingstoke, Andover, Newbury, Woking, Camberley. I look forward to hearing from you for all your kitchen and bathroom needs.